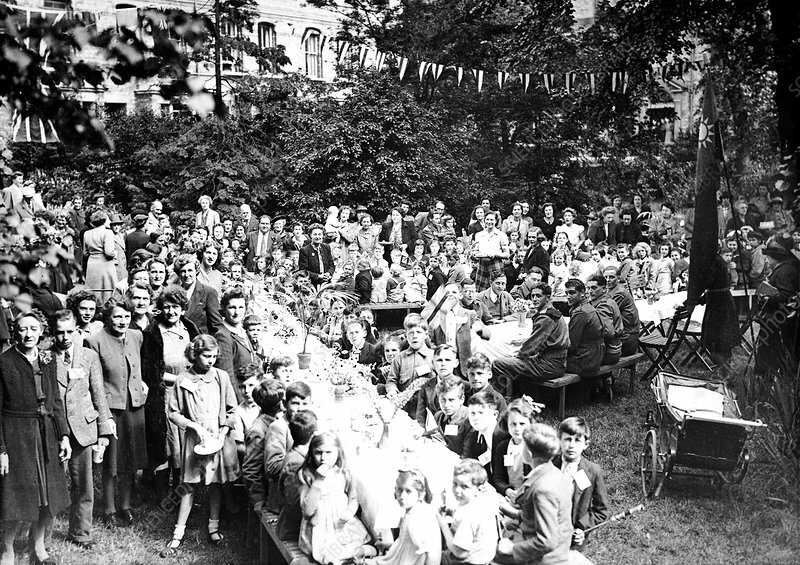 VE Day celebration, Oxford, May 1945. VE (Victory in Europe) Day marked the end of the Second World War in Europe on 8 May 1945. Photographed in Wellington Square gardens, Oxford, UK.